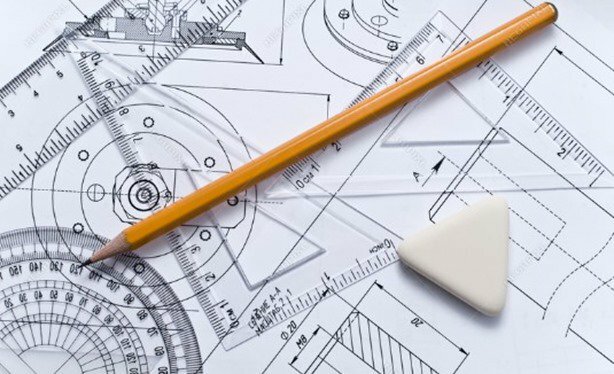 Technical Drawing & Basic Engineering Drawing ( For 9th ,10th & Engineering students) TECHNICAL DRAWING Section A 1. Types of line. 2. Dimensioning. 3. Lettering and numbering. 4. Sheet layout. 5. Geometrical construction. i. Point, Lines and Angles. ii. Triangles. iii. Quadrilaterals. iv. Polygons. v.	Circles and Tangents. 6. Basic facility in orthographic projection. 7. Isometric drawing. 8. Free hand sketching. Section B 1. Geometrical construction based on plan geometry. 2. Area construction. 3. Templates as an application. 4. Scales. 5. Engineering curves. 6. Solids. 7. Oblique drawing. 8. Section of right solids. 9. Isometric drawing. 10. Sectional orthographic views.